PARIS IS BURNING . . . coming 8/5! Come find out where Madonna co-opted voguing from this tuesday at the pier with PARIS IS BURNING. 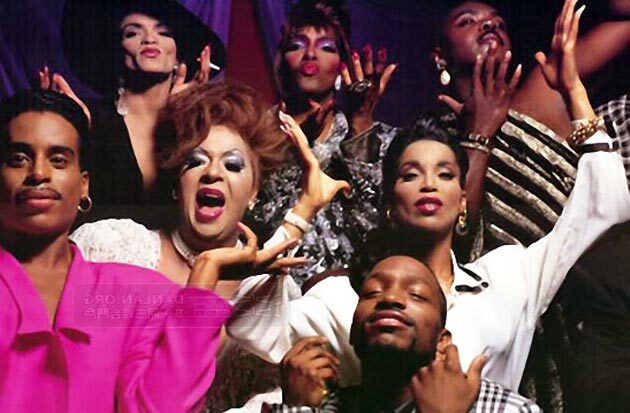 Jennie Livingston’s award-winning 1990 documentary about New York City’s drag ball culture explores the lives of Latin- and African-American drag queens in their quest for a different kind of realness–and the way they redefine the meaning of identity and family along the way. PARIS IS BURNING is presented by FIND HOME FURNISHINGS and POK POK, who will be on hand serving a fierce Coconut Curry–Khanom Jiin Naam Phrik, to be exact: thin rice vermicelli topped with a thick southern Thai curry of coconut cream, prawns, and toasted mung beans, just $8!–plus their signature House Roasted Peanuts for $4. Dessert by King Leche Cremes and Steve’s Key Lime Pie, and beverages available from Heba Deli. We’ll be throwing shade down at the pier at 8:30–see you there! ← FRIED GREEN TOMATOES . . . coming 7/29! Sorry to miss it! I worked on that film. I’ll be in Chicago.